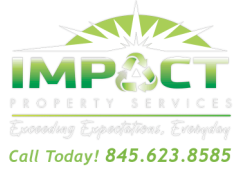 Welcome to Impact Property Services! Impact Property Services is a full service, 1 call solution to residential, commercial and industrial property maintenance needs. We offer professional hot and cold water pressure washing, Environmentally sensitive detergents and experienced crews to handle even the most challenging needs. From house washing, gutter cleaning(inside and out), Concrete and paver cleaning and repairs, Roof washing, to remove mold, mildew, and in the winter months, we offer complete ice dam, and snow removal from roofing and gutter systems. Our highly trained, polite, and respectful team members will treat your property as it was our own. We clean up after ourselves, show up when promised, and our rates are very competitive. We have been serving the tri state area since 1999, and that in itself gives us great satisfaction in knowing that our clients keep using us when needed.